Skytec Plastics specializes in the manufacture of Vacuum Formed parts and products. Offering a one stop shop solution for all your vacuum forming needs. Skytec Plastics creates the design thru to manufacture of the needed part or product. Whether you require counter POS displays, caravan parts and components, custom signs, moulded food trays or even playground domes we are the experts. Our manufacturing facility features tooling making machinery, large vacuum forming equipment, 5 axis routers for trimming, thru to boxing and packaging finished goods. Vacuum forming is a simplified version of thermoforming. 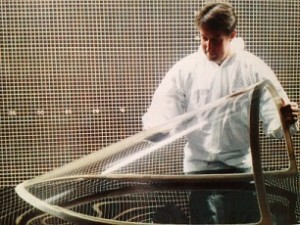 The sheet of plastic is heated to a specific temperature, stretched onto a mould. The vacuum suction then forces the plastic down to form the shape.